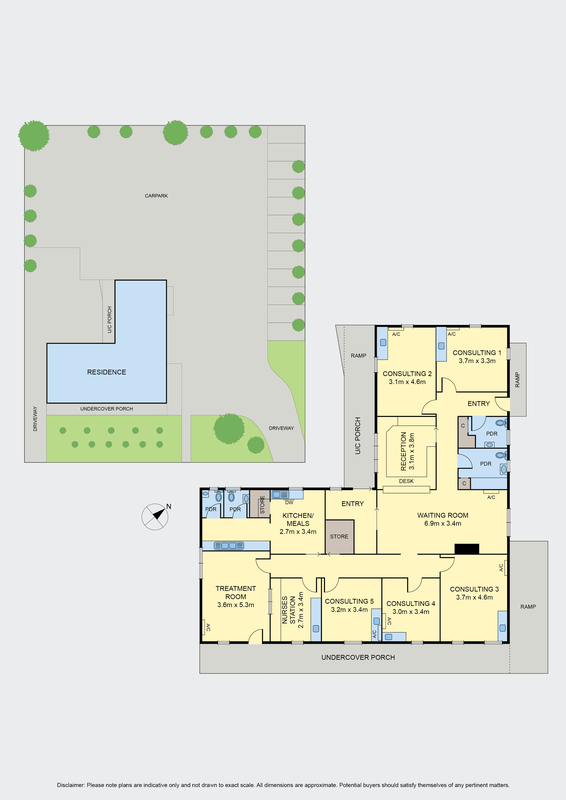 Situated in a high profile and quality location within the main centre of Sunbury shopping and business precinct, this brilliantly designed professional suite, currently maintaining a Medical Surgery offers endless opportunity and functionality. Boasting five large consulting rooms, spacious treatment room and separate nurse station, each presenting built in cabinetry and plumbed sinks, central waiting room with adjoining reception/office plus separate kitchenette all serviced by four individual toilets. Dual drive access leads to extensive on-site parking allowing for 36 vehicles, 2 additional disabled plus ambulance parking and access. Further benefits include wheelchair access to all three entries/exits, two of which are undercover, individual heating and cooling to main rooms. The exclusive location provides high main road exposure, immediate access to transport options including various bus routes, metropolitan and V-line train services and easy access to freeways. A spacious allotment of approximately 2021m2, currently zoned residential 1 is on two separate titles providing immense future potential and endless opportunities, STCA.